Here are some of our photographs of thebirds of Stanpit Marsh. Alongside each picture weinclude facts about some of the birds that are found on the marsh. All photographs were taken by members of FOSM. We add more photographs frequently, so please check back regularly. If you would like to share your photographs or observations from the marsh, send them in we'd love to see them . Other extensive galleries are available through links listed below. Choose & Click upon a Photograph, below, to enlarge it. This will open a pop-up screen and fade out the background. You can move forward through the pop-up photographs, in this gallery, by Clicking with your mouse on the RIGHT side of the picture, or Press 'N' (Next) on your keyboard. You can move backwards through these photographs by Clicking on the LEFT side of the picture, or Press 'P' (Previous) on your keyboard. To close the pop-up photographs & return to the gallery images, click on the 'CLOSE X' to the bottom right of the pop-up, or click on the darkened window surround above or below the pop-up picture frame. We hope you enjoy our photographs. Prominent identification: Dark-bellied variety seen on marsh. Dark grey colouring. Seen on Stanpit Marsh: Winter migrant. Migrates from: Siberia and northern Russia. Food: Grazes on vegetation, such as eel-grass & other saltmarsh plants. Now Britains second most common breeding bird. Insects & seeds. Catches insects in flight. Shown here taking caterpillars when feeding nestlings. Dumpy water bird. Slate black, with white ‘forehead’ & beak. Lobed (partially webbed) feet, long toes. 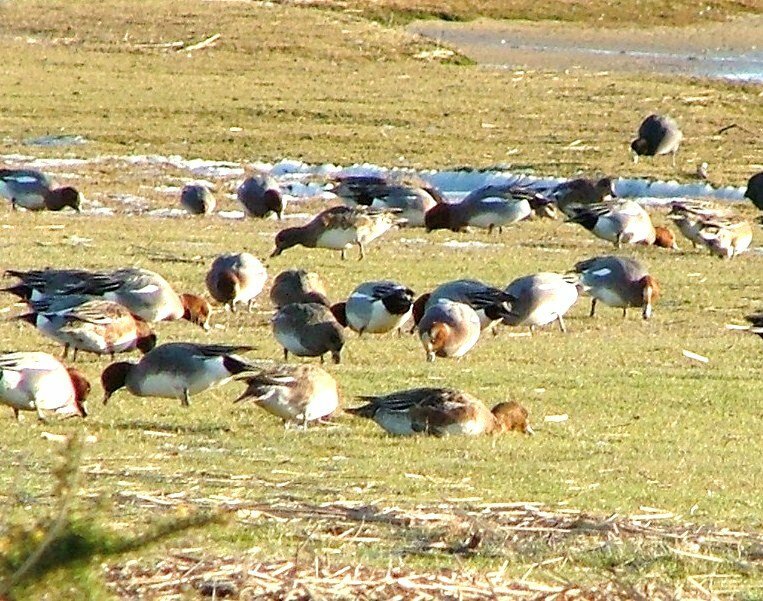 Seen in flocks, often amongst gulls & other water birds. Very territorial, loud ‘clicking’ warning call. Uses beak in sideways scissor-like movements when grazing. Nests amongst reeds – nest made of plant matter. Often confused with Rook, but is a much neater, sleeker bird, and has black tight-feathered covering at base of bill. More often seen singly or in a pair (as opposed to Rooks who live in flocks). 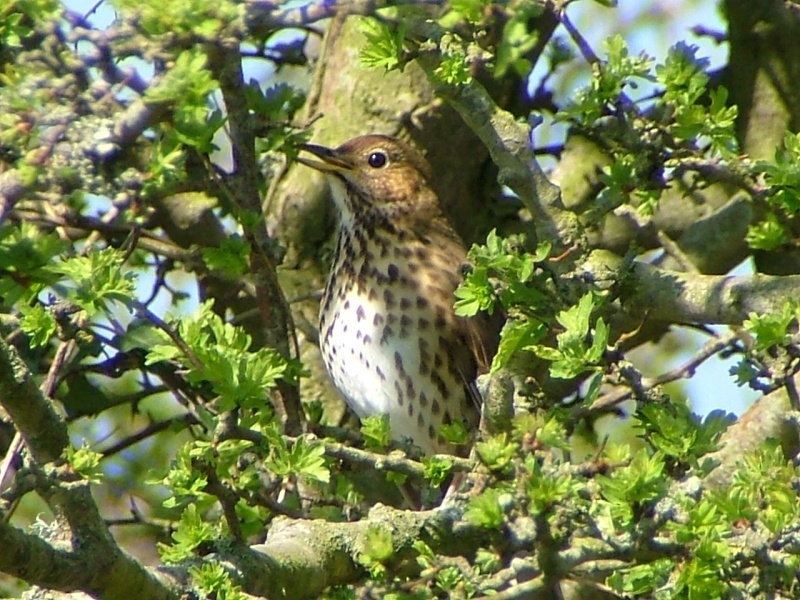 One pair regularly nest in the tall Poplars backing North Scrubs, and the family can be seen feeding around the marsh. They are carrion feeders, but also eat invertebrates, grain, and other birds eggs. 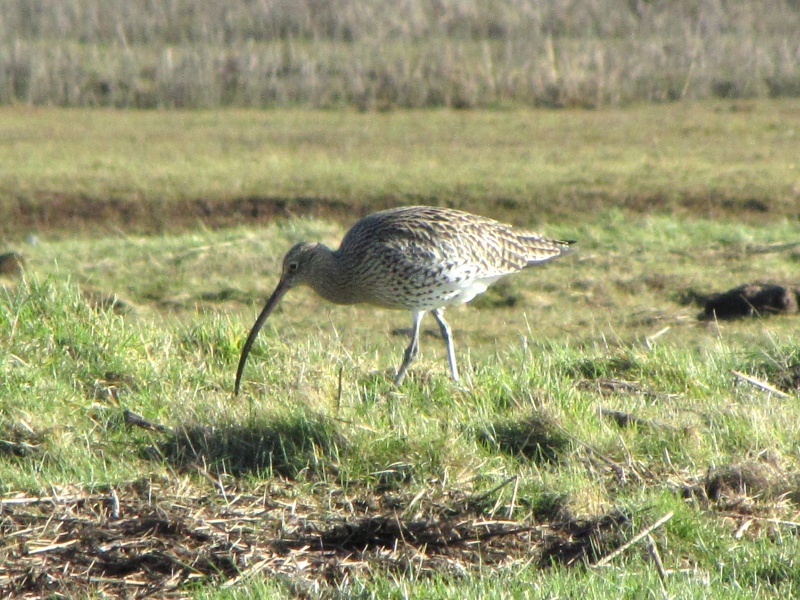 Largest wader. Very long downward curved bill. 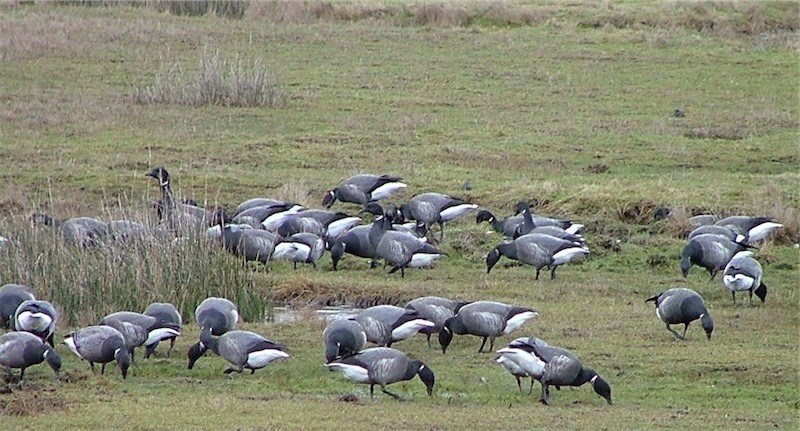 Often seen as individuals, but also in small flocks. Resident all year. Also migrant. Scandinavia in Summer & Russia in Winter. Nests in uplands, boggy heath moorland, & coastal marshes. 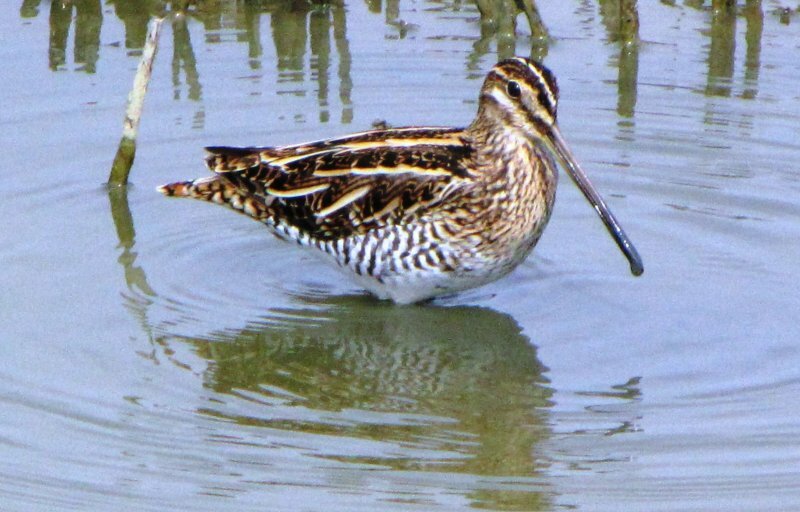 Short, dumpy wader – useful when comparing waders. Seen in flocks, sometimes thousands. A very sprightly bird. Resident all year. Also winter migrant. Iceland, Northern Russia and Northern Europe. Nests in grass tussocks & low vegetation. Mud surface, or near surface, feeder. Marine worms, insects, shellfish, & small crabs. Medium-sized, slim, elegant, white ‘heron’. Long head plume. Considered a resident now. Also summer migrant. Aquatic creatures, small fish, crabs, shrimps & amphibians. 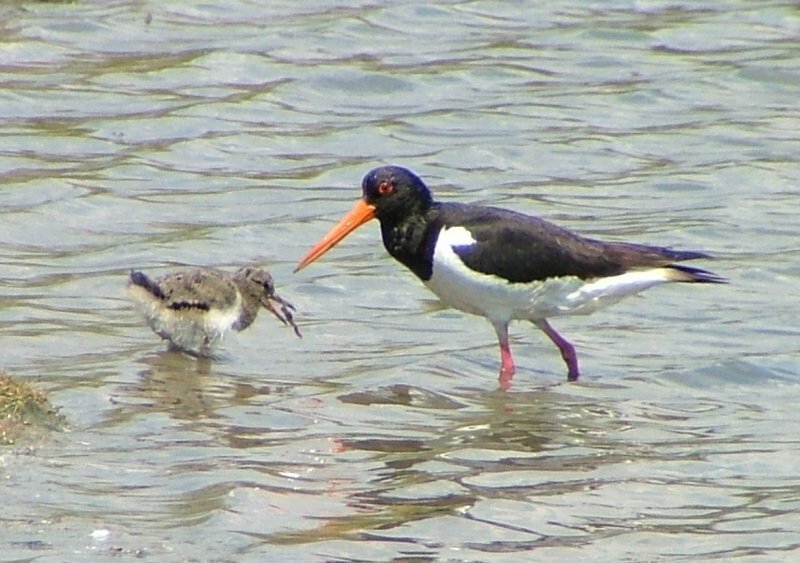 Tall, sleek, wader. Long near-straight bill. Loud flight call. Ruddy-coloured neck & body in summer. Migrant, but can be seen all year. Winter visitors come from Iceland. Birds that nest in Britain, leaves for Africa in the winter. 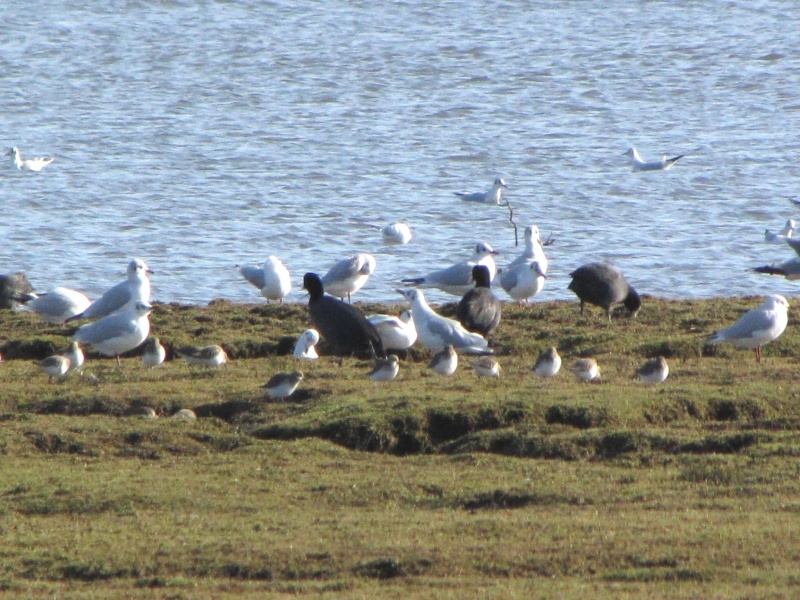 The smallest of gulls seen regularly on the marsh. 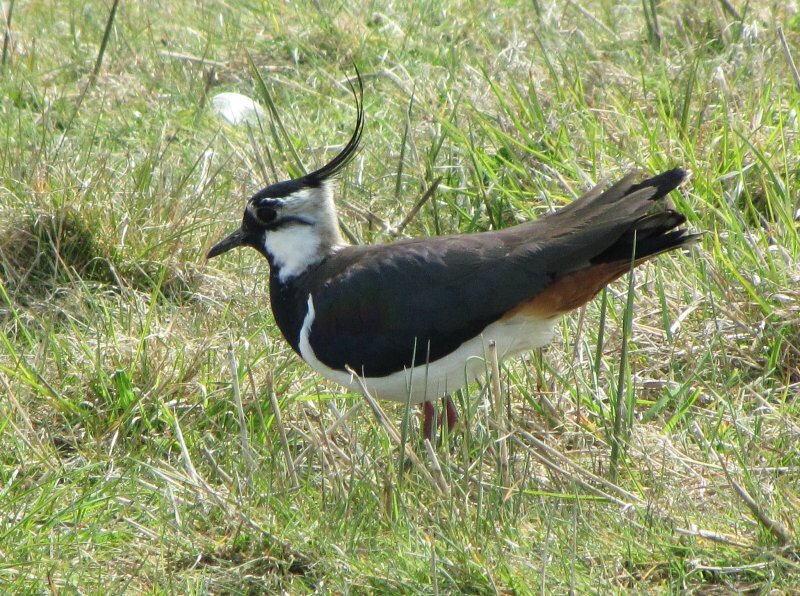 Although named ‘black-headed’ it actually has a dark brown head, which is only present during the breeding season. 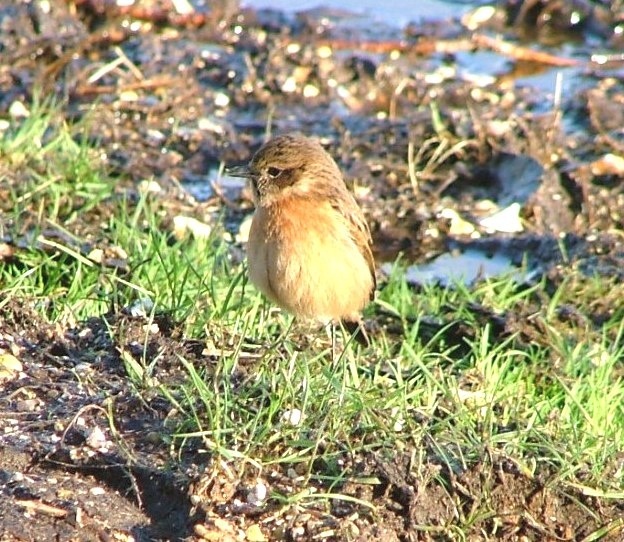 It can often be seen feeding singly in the salt pans on the outer marshland. Very large ‘stork-like’ water bird. Long neck. Grey, black & white. Long head crest. Often seen near reed beds. Usually solitary. Stands motionless when looking for fish. Often stands with head resting on hunched back. 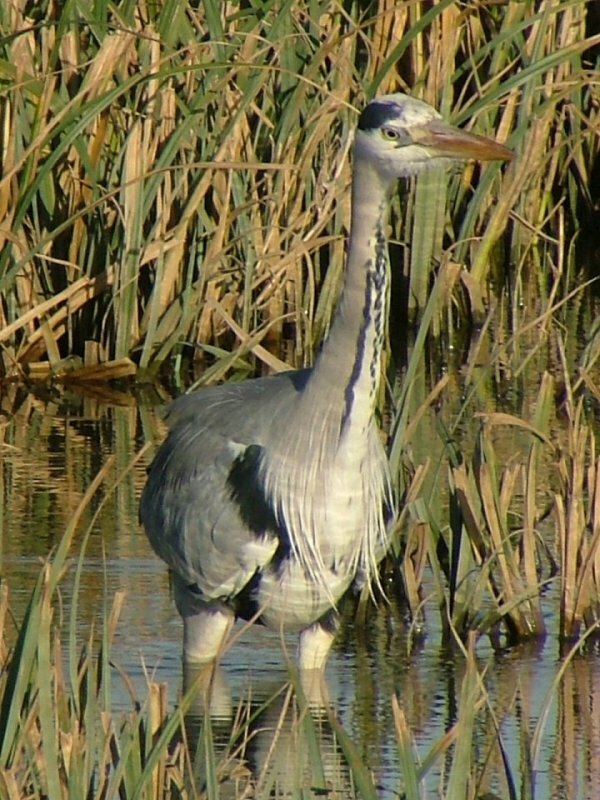 Known to nest locally, in colonies known as heronries. 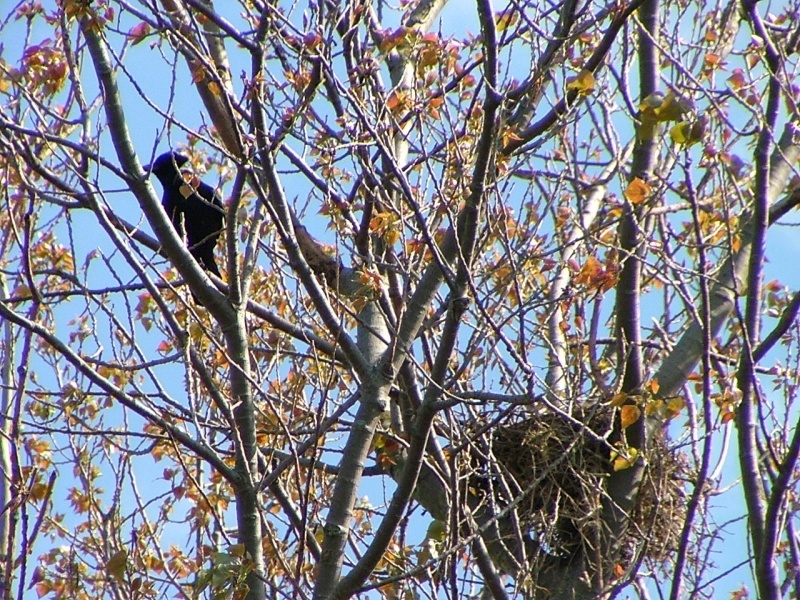 Large nest made of twigs, at top of trees. 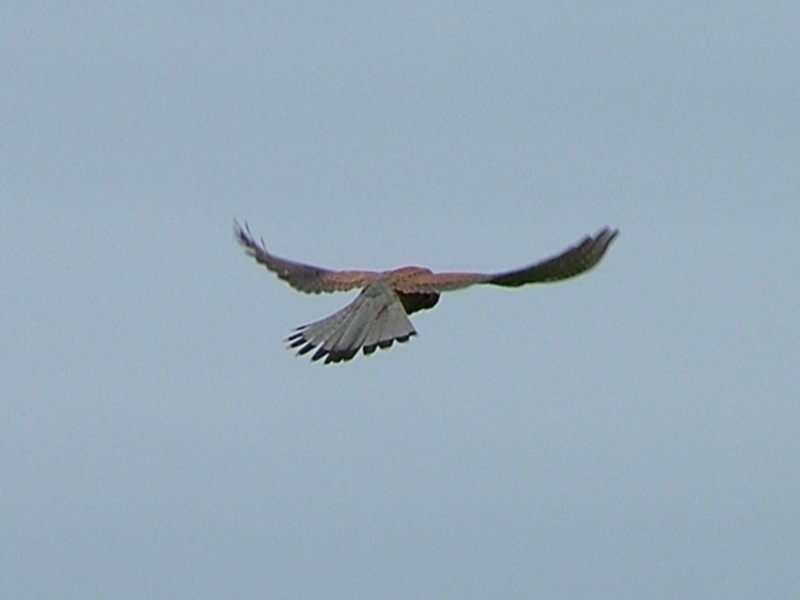 Sometimes confused with the Sparrow Hawk, but is slightly smaller and hovers whilst looking for prey. Whereas the Sparrow Hawk swoops on unsuspecting birds for food. They nest in old buildings, on ledges and quarry sides, so not on the marsh itself. Small mammals such as mice and voles – also lizards, beetles and worms. Headcrest – longer on male. Iridescent wing feathering. Resident all year. Also winter visitor. Nests on bare ground – often agricultural fields. Variety of insects, earthworms, flies, caterpillars & spiders. Crimson breast patches and forehead on male; plain brown back and grey head. Female is more streaked, and lacks crimson markings. Forms large flocks outside the breeding season. Often seen perched on gorse, but very nervous. Nest built from grasses & small roots etc. and lined with softer materials. Nestsited low in bush – particularly gorse or bramble. Predominantly seeds, but also a few insects. A nest is built of leaves and grasses amongst dense vegetation usually near water. Prominent identification: Tall stocky wader. Characteristics: Black/white with bright orange straight long bill. 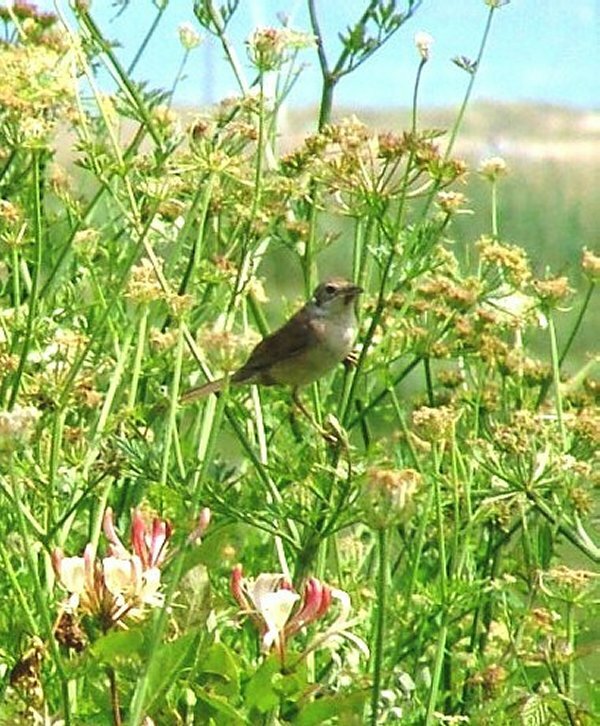 Seen on Stanpit Marsh: Loud shrill call. Engages in noisy ‘piping call’ displays establishing territories. 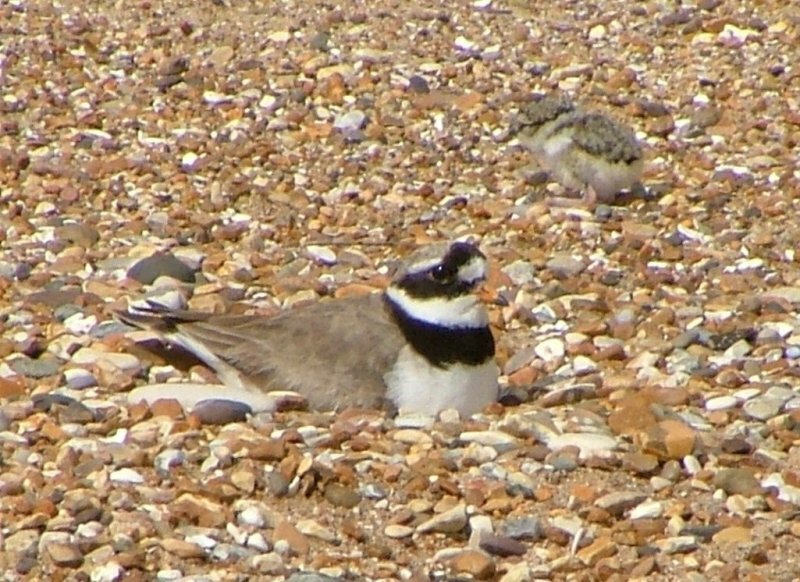 Breeding: Nests on shingle, dunes, & salt marshes. Food: Probes deep in mud for marine worms, shellfish, & small crabs. Resident all year. Also a winter visitor. Marine worms, small crabs, snails, arthworms & other small insects, flies and spiders. Small stocky wader. White underparts; black band through eyes; black neck band. Light brown wings; very short orange bill with black tip. Rapid moving, runs in spurts – stopping to pick up food. Often seen singly, but also in very small groups. Resident all year, but numbers may fluctuate through the year with passage migrants. Mud flats, shoreline. Passage migrant – Greenland, Iceland, & Canada. Colourful duck. Mainly white, distinct chestnut breast band. Small flocks. Both male & female brightly coloured. n/a. Leaves Britain in Aug/Sep. to moult in Heligoland Bight in Germany. Nests often in old rabbit burrows, crevices or dense vegetation. Surface feeder. Chief food – tiny snails called Hydrobia. Also eats worms, sandhoppers & other small insects. Stocky wader; short legs; long straight bill. Dark brown, with distinct straw-coloured stripes on back and head. Very secretive. Often crouches very still – relying on camouflage. 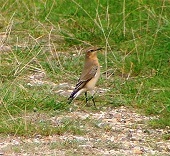 Generally seen singly, but also feeds in small groups. Mainly winter visitor; also British resident. Mud flats, pools & creeks. Conceals nest in vegetation. Has been known to nest locally. Aquatic worms, insects & larvae. This immature visitor was seen in March 2018. 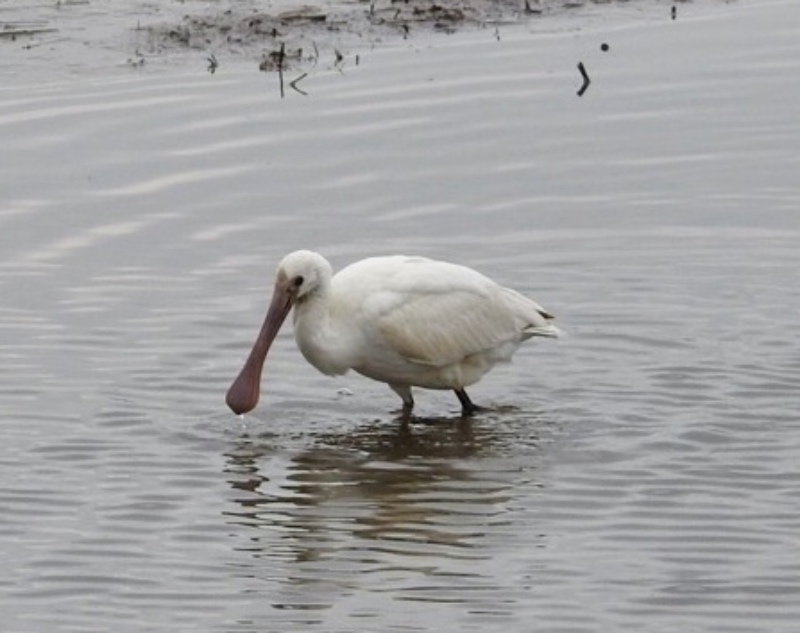 Adult Spoonbills are about the size of a Heron, and have a yellow tip to their destinctive spoon-shaped bill and a yellow patch on their breast. 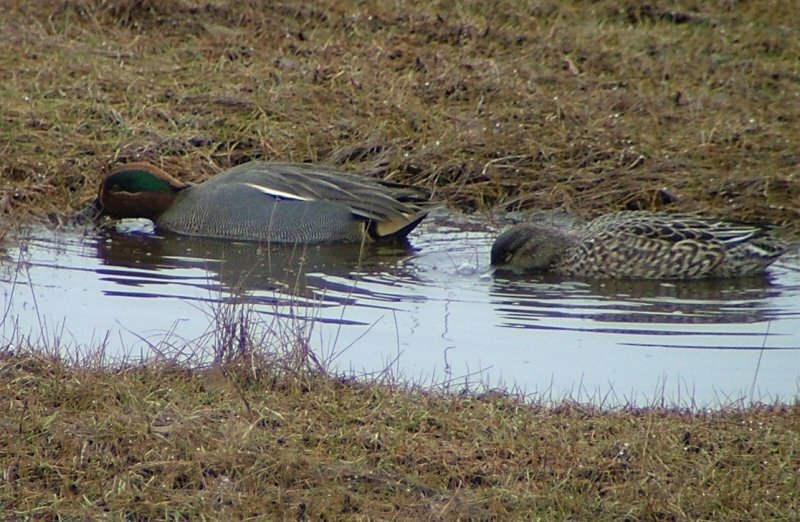 When feeding, sweeps bill side to side through the water. Spoonbills are a relative rarity at Stanpit Marsh. This one was spotted at low tide in Mother Sillers Channel from the Bailey Bridge and photographed by Mr Kevin Scragg; whom we thank for sharing it with us. Does not breed in the UK. Feeds on small fish, mussels, snails, tadpoles and aquatic insects. Plump little bird. Colourful male – black head; white on sides of neck, inner top wing edges and rump. Dark brown streaked back, and orange-red breast. Female less colourful – lighter colouring all over, and lacks black head. Frequently spotted perched on gorse, active & restless. Resident & partial migrant. Scrub, gorse, esp. on Crouch Hill. Mediterranean/North Africa. Others winter on British eastern coasts. Untidy nest built of grass & leaves, but lined with soft material. Nest site is usually on the ground under gorse or other shrubs. Various insects – esp. weevils & shieldbugs. Also moths, caterpillars, ants, spiders, snails & worms. Also seeds & berries. 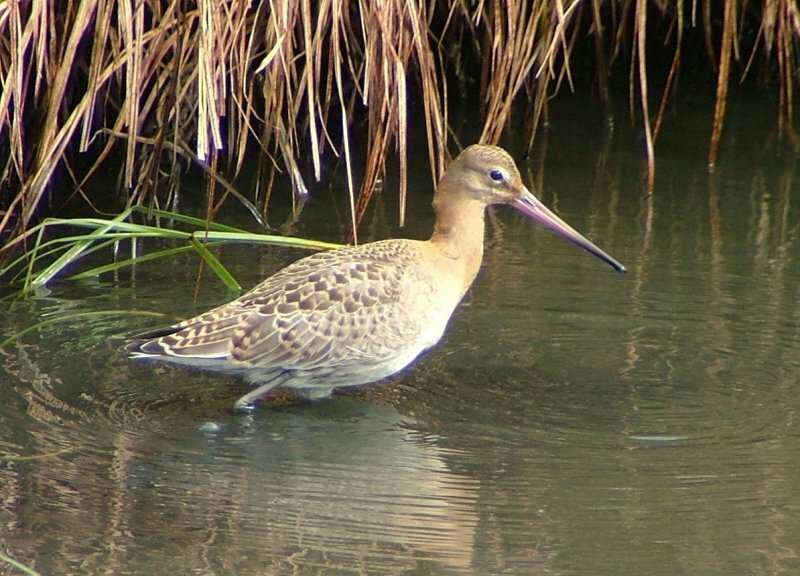 Prominent identification: One of largest British water birds. 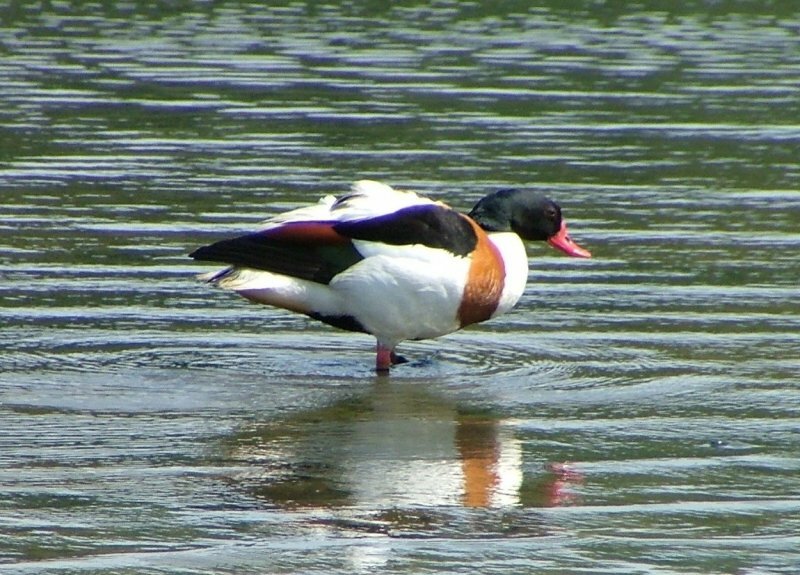 Adults pure white; orange bill - black knob at base is larger in male. Characteristics: Very territorial; can be aggressive – arched wings, neck drawn back, jerky advance through water. Beautiful courtship – movements in unison – necks often forming heart-shape together. 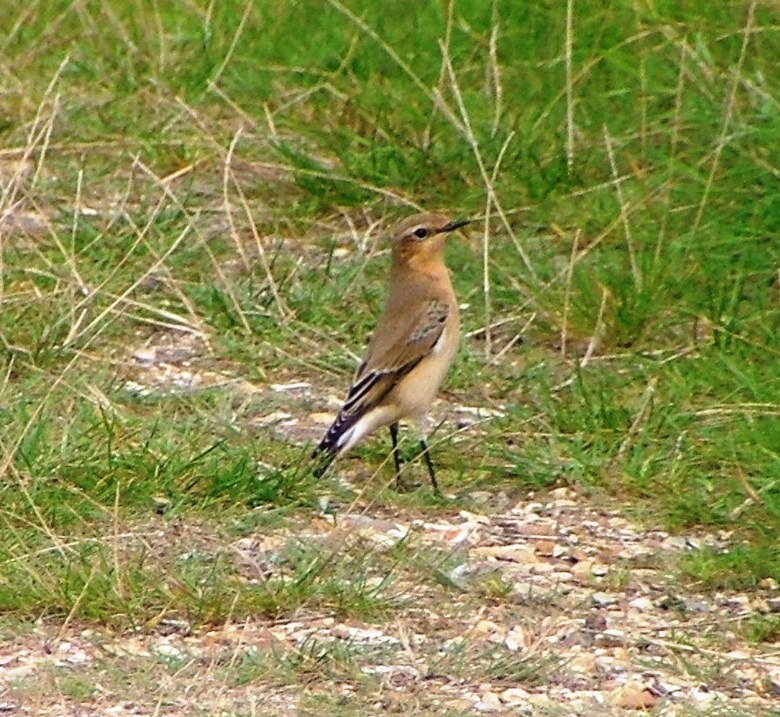 Seen on Stanpit Marsh: Resident. 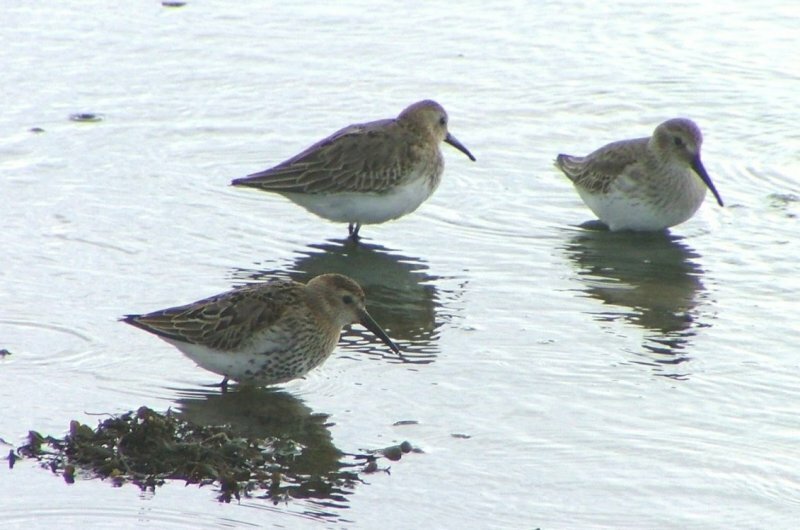 Numbers increase in the harbour during the moult in Mid-July. Breeding: Large, high nest made of dry reeds; concealed amongst reeds. Swans pair up for life. Food: Predominantly aquatic plants & vegetation. Also snails & insects. 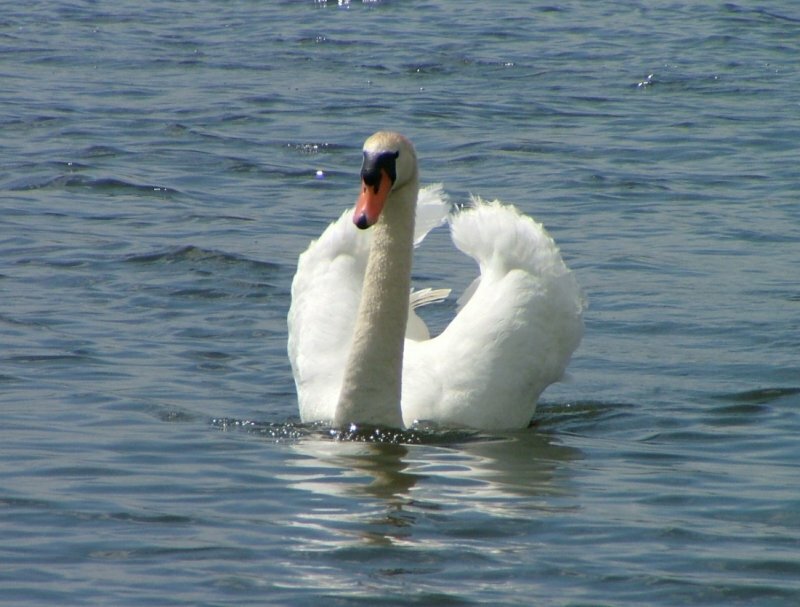 Swans normally found further up the Avon & Stour rivers, congregate at Mudeford, in Christchurch Harbour and at Christchurch Quay during their annual moult. Unable to fly, and therefore vulnerable, the birds feel safer gathered together in the open waters. At this time, the annual event of ‘swan ringing’ takes place, and is organised by The British Trust for Ornithology. On average 450 birds are rounded up on Blackberry Point, (off the end of South Marsh), where the ringing takes place. Small duck. Male has chestnut/dark green markings on head. Very nervous – eager to move out of sight. Nests in hollow close to water’s edge. 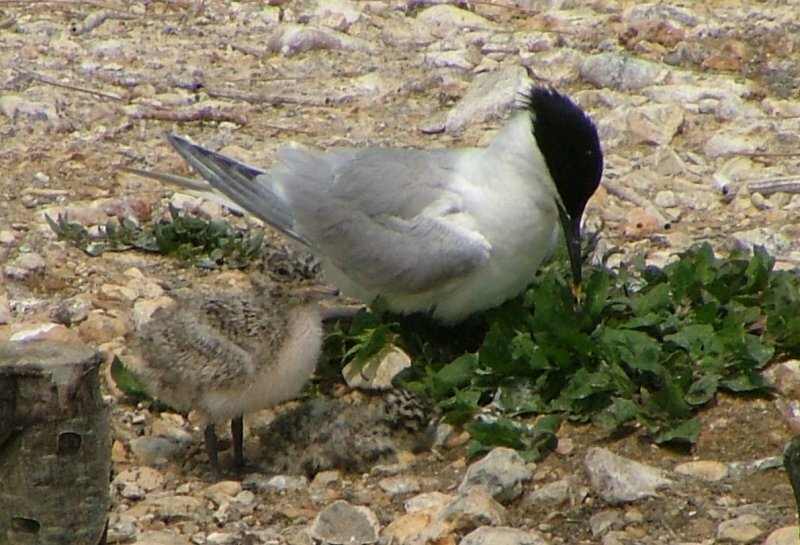 Largest of terns that breed in Britain. Long black bill with yellow tip. Often flies higher than other gulls – creates large splash when diving. Summer visitor. Fewer numbers than the Common Tern. 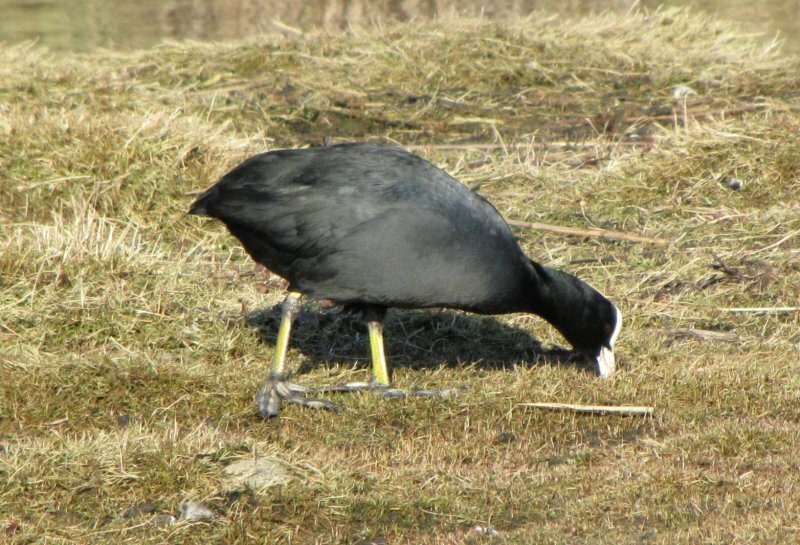 Nest is a simple scrape in ground; along coasts of Britain & Ireland. Locally – on Brownsea Island. Sand-eels, sprats, & other small fish. Smaller than the Sandwich Tern. Red bill with black tip. When looking for food – flies head downwards, rising slightly before diving. Very vocal in flight. Summer visitor. 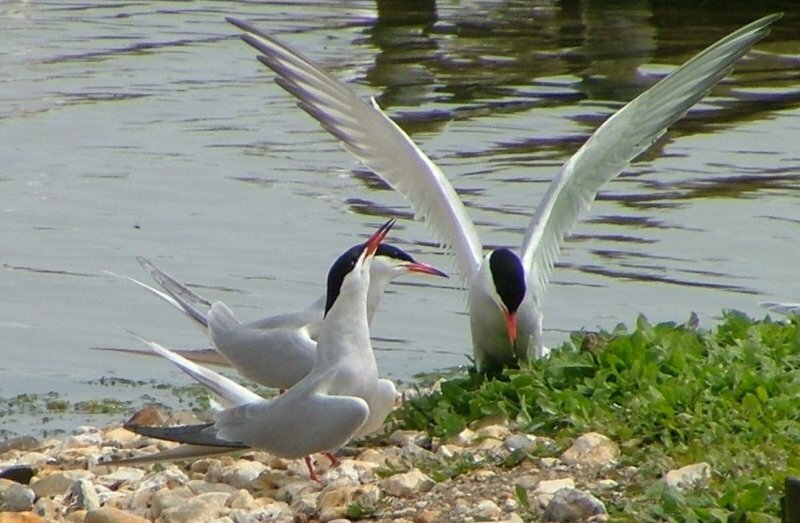 Most common of terns that visits the marsh. Nest is a simple scrape in ground or shingle; along coastline of most of Britain & Ireland. Locally – on Brownsea Island. Sand-eels, & other small fish. Brown upper parts, black spotted cream or buff underparts. A fairly uncommon bird now, sadly, although it seems to be on the come-back. 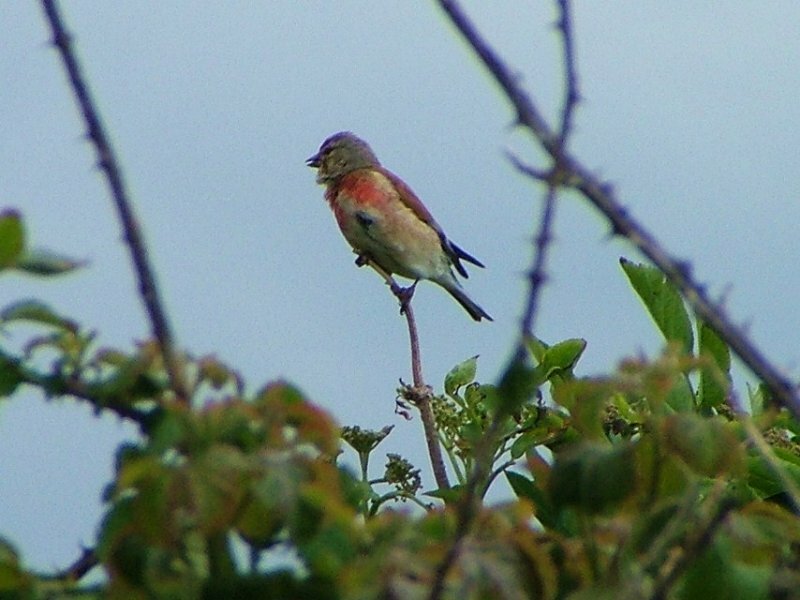 This one was spotted singing beautifully within a Hawthorn bush in North Scrubs. grey underparts; white flashes under tail. Orange beak/black tip. 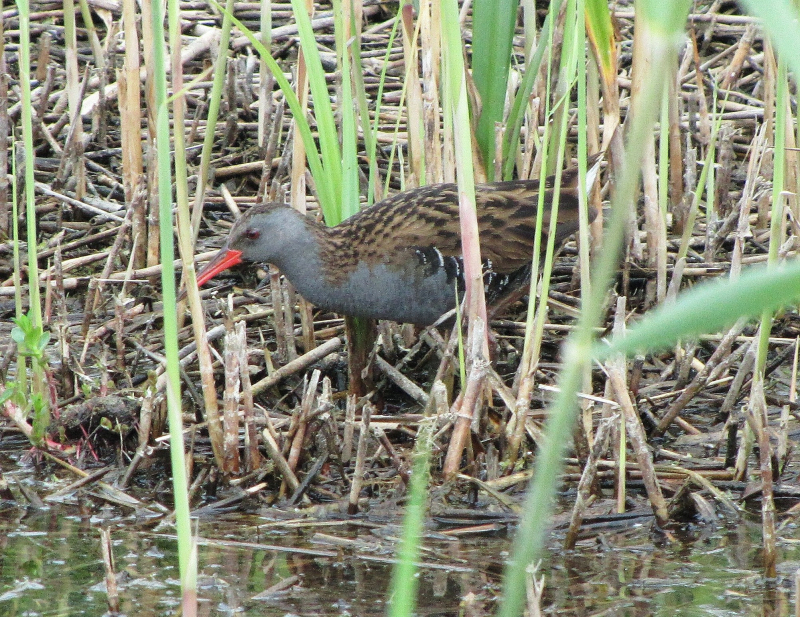 Very secretive, ‘skulking’ in undergrowth/reeds; feeding in pools. Resident – often around Purewell Stream and North Scrubs. Various aquatic creatures – snails, insects & larvae, and also aquatic plant roots. White rump & upper tail – easily recognised in flight. Male has grey back, with black wings; white stripe above eye and back marking though eye & cheeks. Female light brown with dark wing markings and light stripe above eye. Upright stance. Feeds on ground; quick movements. Perches on rocks or posts. Summer visitor. Scrub areas, grassland – esp. Crouch Hill. Nest is roughly built, of bracken, grass or leaves, and lined with softer materials. Nest site is usually in a rock crevice or ground. Also uses rabbit burrows. Various insects – caterpillars, beetles, flies, small snails, worms. Also blackberries & berries of rowan and elder. A delicate little ‘brown’ bird, with distinct white throat feathers. Frequents dense vegetation – often perching on high, giving a ‘churring’ warning call. A couple of pairs regularly nest in or around North Scrubs, building a small, neat cup-shaped nest low in thorny vegetation. 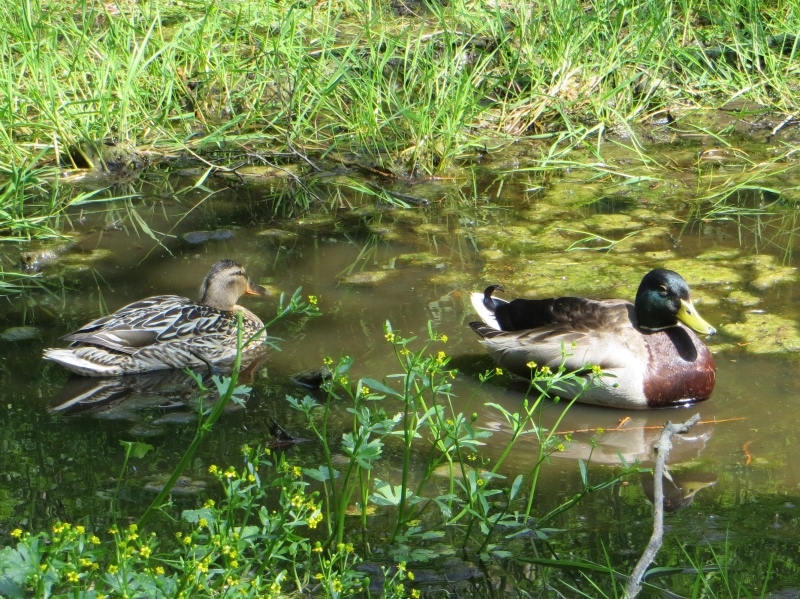 Medium-sized duck. 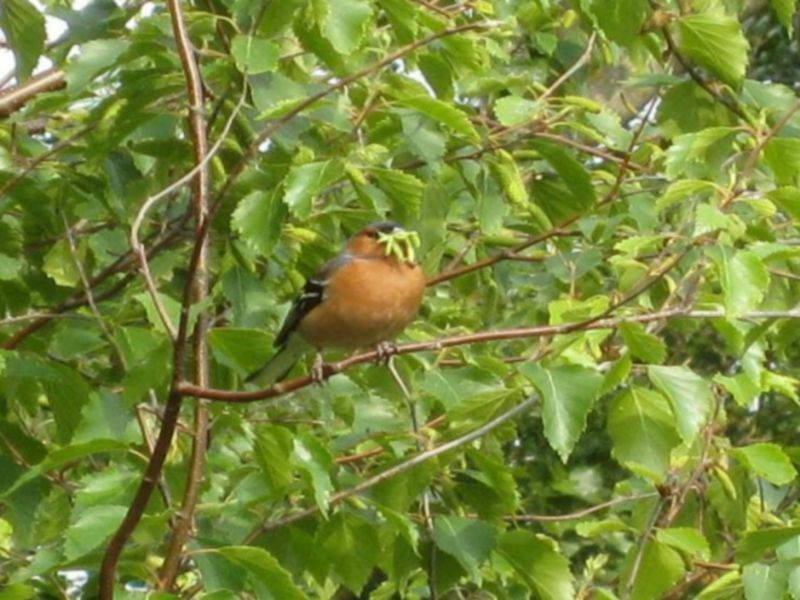 Distinct chestnut head on male. Grey wings and under parts. Large flocks. Distinct whistle-like call. Breeding grounds in Iceland, Scandinavia & N.Russia. Brightly coloured – black and white wings, red under tail feathers, and a red patch at the nape of the neck – which is more prominent in the male. Pecking insects and grubs out of tree bark, or rotting trees and logs. 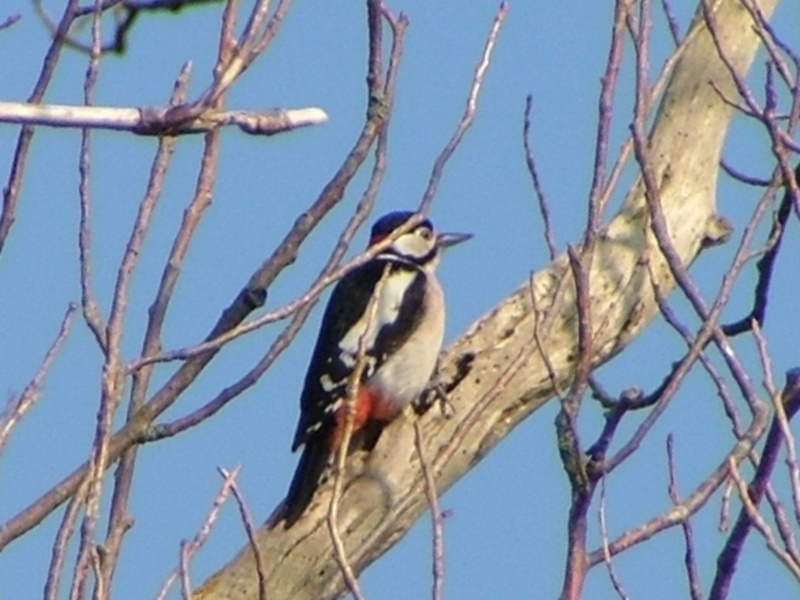 There are signs of possible nesting and Greater Spotted Woodpecker can often be seen on the tall trees at the back of North Scrubs. 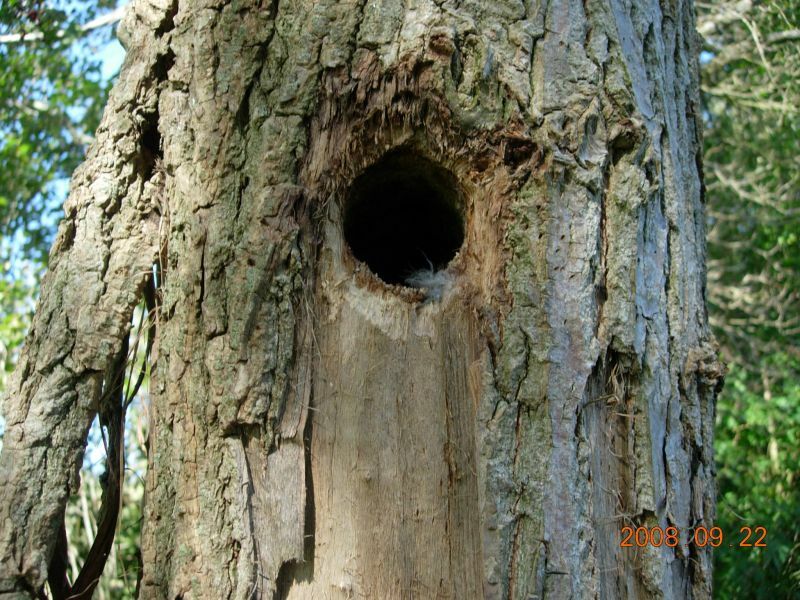 In these trees, and it has been seen chipping out the holes. 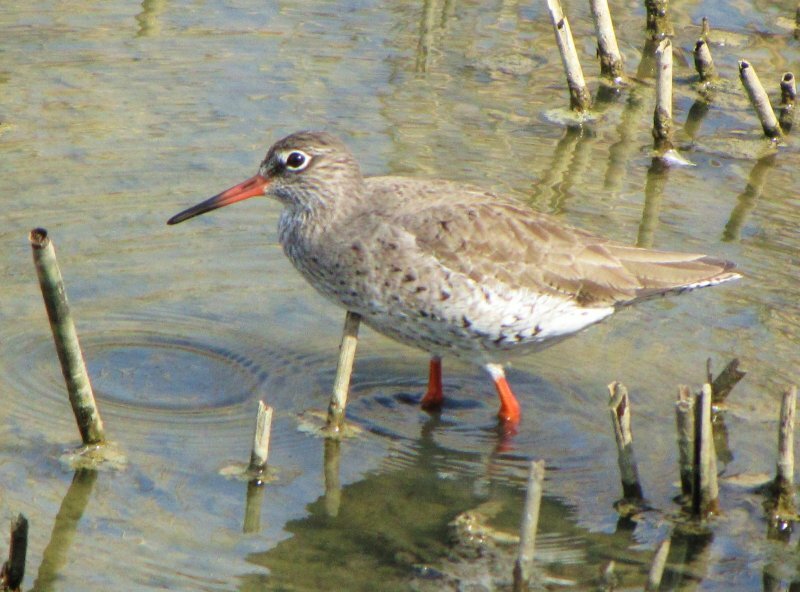 However, successful completion of breeding is uncommon (if at all) on the marsh. 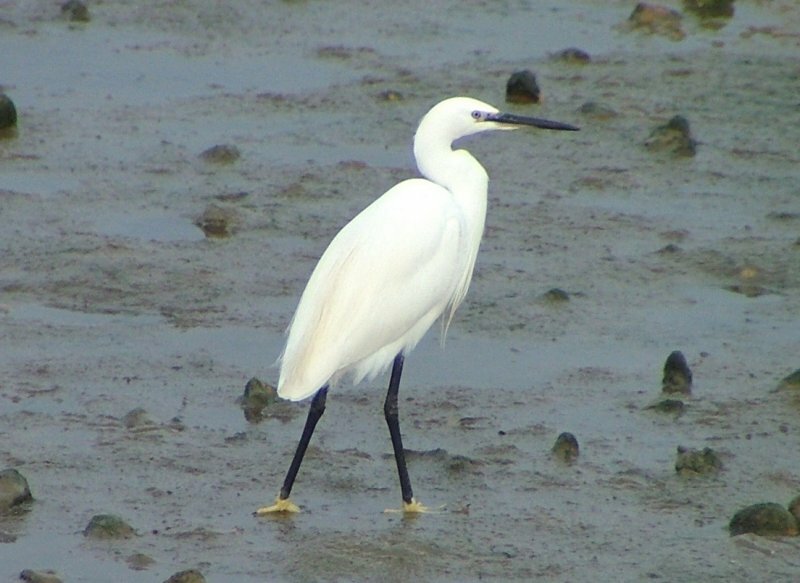 For more extensive information about birds of Stanpit Marsh and the surrounding area, please see the Christchurch Harbour Ornithological Group (CHOG) website.Alternatively, see Alan Haydens Photographs of Birds..